The connectivity solution that makes the most sense depends on how many devices you’re trying to keep connected, how many people will be accessing the Internet, how many data plans you want to keep active, where you think you’ll need Internet access and what devices you already own. The basic options include devices that are restricted to data only, such as mobile hotspots and USB modems, or putting cellular connected tablets and phones to work serving double duty by providing an Internet connection for your computers as well. Keep reading and we’ll cover the advantages and drawbacks of each option, and which is recommended or most practical for your situation. 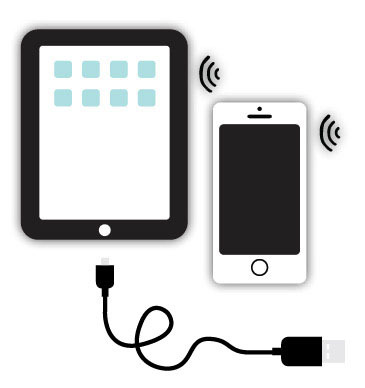 The simplest way to share a cellular data connection with multiple devices is by using the built-in mobile hotspot or tethering feature provided by most smartphones and tablets. “Hotspot” is when you use the device to create a wireless WiFi hotspot to which several other devices can connect. “Tethering” is when you connect a single laptop or router to the cellular device using a USB cable, allowing only that one device to share in the connection. Assuming your cellular carrier has enabled this feature (most current plans do), you will find a prominent option in the control panel of Apple iOS and many Android devices to enable “Personal Hotspot” or “Mobile Hotspot” to turn on this connection sharing feature. You can then easily configure a network name and password to protect the connection. On most current tiered data plans direct with the major carriers (Verizon, AT&T, T-Mobile, Sprint), mobile hotspot is included with no extra fee. On “unlimited” data plans some high speed mobile hotspot use is generally included. It’s super simple. There are no extra devices to manage. Most “unlimited” data plans offered directly from the carrier have restrictions on hotspot use, such as a set amount at high speed data. Many prepaid or reseller phone plans do not include any hotspot usage. This is not ideal for multiple people in a household sharing a connection. Imagine what happens if the person with the hotspot-enabled smartphone takes it out to run errands, knocking everyone else offline. Talking on your phone can sometimes knock your connected devices offline, or greatly reduce the network data-connection speed. So, if you need to regularly talk on your phone and be online, having your phone doing double duty may not be an ideal solution. Many devices go to sleep when there’s no active connection, so you may need to wake your device and turn the hotspot feature back on after any period of inactivity. Hotspotting from a smartphone or tablet drains the battery quickly, so you have to make sure the device is plugged in and charging. Solo travelers, for those who are not dependent on Internet for critical tasks: for access to a secondary cellular network, i.e. : if your primary is Verizon with a MiFi, you can access AT&T as a backup; when needed by hotspotting from a smartphone; or for out-and-about Internet access away from the RV. 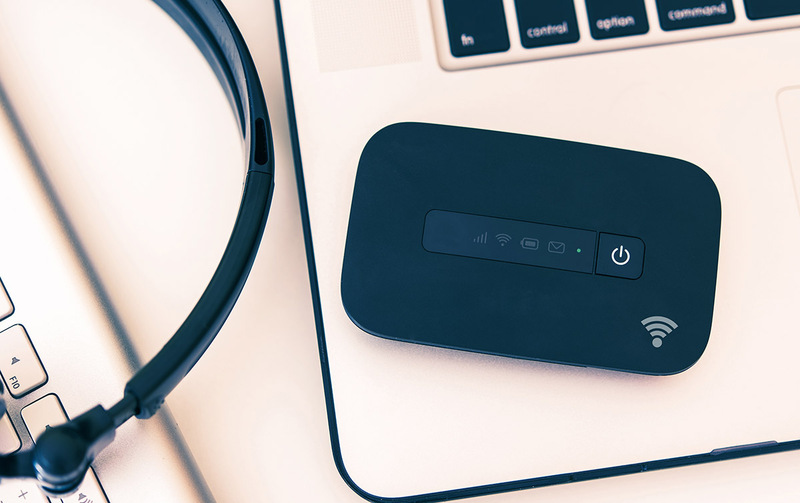 Also, sometimes referred to as a Jetpack or MiFi, mobile hotspots are small, self-contained units that receive a cellular data signal, and then broadcast a WiFi hotspot that enables your other electronic devices to connect to the Internet. These are in essence a cellular modem and tiny WiFi router combined. Most mobile hotspots tend to be able to serve five to 15 connected devices at once. Because they have a battery built into them, you can easily take a mobile hotspot with you when on the go. Some can even double as portable battery packs, allowing you to charge other USB devices as well. 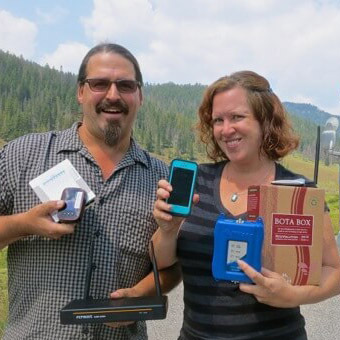 You can take along your Internet with you almost anywhere with these self-contained gizmos. Some are even designed to work outdoors in the rain. These hotspots are typically easy to use and perfect for those who don’t want to have to learn to manage other more complex options. 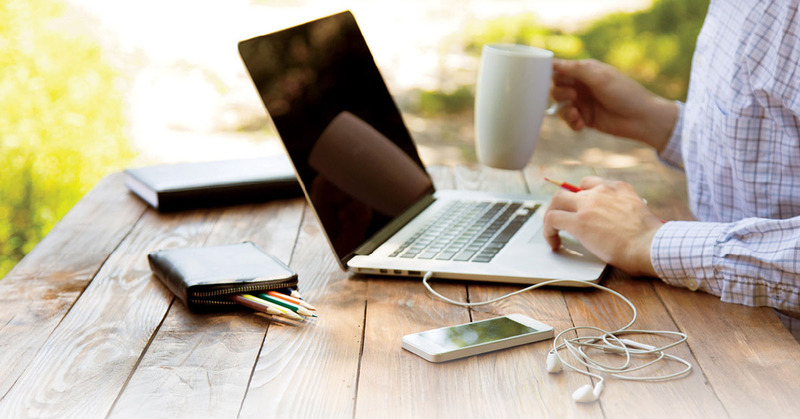 Some cellular plans will, for a small monthly fee, allow you to add a mobile hotspot to your plan. Finding data-only plans for these devices can be confusing and potentially expensive. These are simplified routers, so if you need a more complex router with advanced features or wired Ethernet ports, a mobile hotspot alone may not fit the bill. The WiFi range of most mobile hotspots will usually be enough to get you connected within a typical-sized RV. But, if you want a faster or longer-range local WiFi network, you will need something better suited to the task. Multi-person or multi-device households, and for those who depend on cellular data for critical tasks and don’t want to bother with tethering from a smartphone and need their RV to have Internet access even while they’re away (remoting in to check on cameras or RV automation systems). A USB “stick” cellular modem or Connected Car device needs to plug into something in order to be functional such as your computer or compatible cellular-aware router. Connected Car devices either are built into modern vehicles, or need to plug into the diagnostic port of a vehicle. . If you are traveling solo and only need to keep a single laptop online, this can be a simple and elegant solution. Because of their simplicity, dedicated modems tend to be more reliable than mobile hotspots. There is simply less that can go wrong. Solo travelers needing only one laptop connected, or a household planning to have a cellular optimized router anyway. In general, this option has been eclipsed by others. Last, but not least, there are high-end options. These options use a dedicated router to share a cellular data plan, while creating a more advanced local area network that is capable of supporting multiple devices, while integrating other upsteam data connections. These might be WiFi, campground WiFi, cable Internet hookups or even satellite Internet. The advantage of this type of mobile router is that all your local devices only need to be configured once, not every time you change your connection method. Your tech connects to the mobile router, and the mobile router selects between the various upstream options. 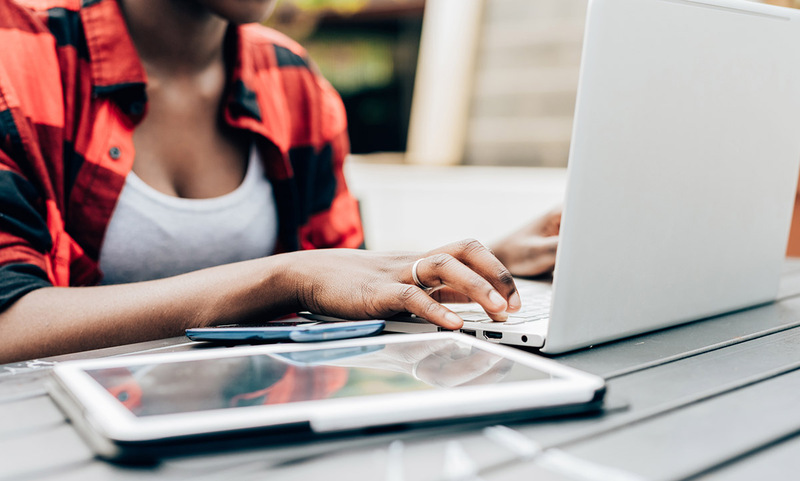 To connect to the Internet by cellular service, mobile routers typically pairs with and controls traditional mobile hotspots or USB cellular modems. Some can even connect via a tethered smartphone. Some more advanced (and expensive) mobile routers even feature an integrated cellular radio of their own, eliminating the need for tethering to an external hotspot. Some models even can be installed on your RVs roof to get you the best possible signal. Allows you to create a more capable local area, wired and/or wireless network, with the ability to support printers, streaming media devices and local network drives for backup storage and more. If you change your upstream connection, you only have to reconfigure the router, not every connected device. If you have many devices sharing the connection, this can make things vastly simpler. A dedicated router can provide a much stronger WiFi signal, reaching well beyond what a smartphone or MiFi alone can provide. Cellular-integrated routers tend to be updated infrequently, so they often lag a year (or oftentimes longer) behind mobile hotspots and smartphones in supporting the latest cellular frequency bands and technologies. But a mobile router paired with the latest mobile hotspot can avoid this issue. These dedicated router options require some networking knowledge to install and manage. There can be a substantially higher acquisition costs, and finding suitable data-only plans to use in them can be difficult or pricey. 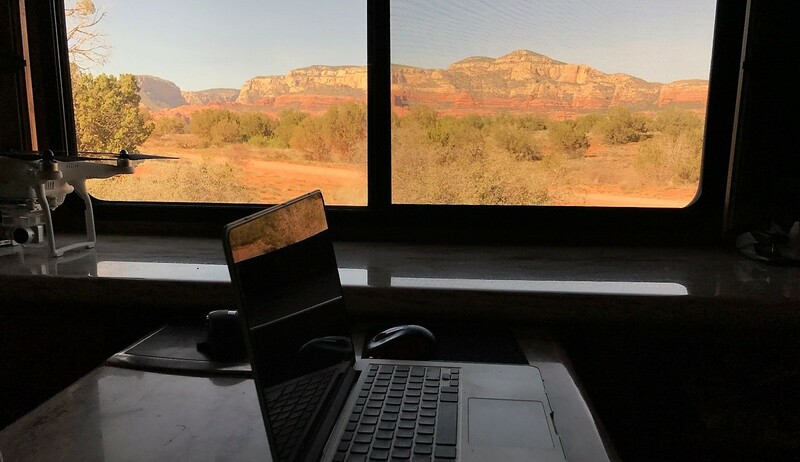 Those with multiple devices in their RV who need to keep connected, those needing a wired local network, those who have more complex needs overall and those who are a bit more tech-savvy and comfortable with basic networking. Regardless of which method you choose, for maximum coverage and speed, we recommend purchasing the newest cellular devices you can, and plan on replacing your hardware every few years to stay current with the latest cellular standards and frequency bands.